As I stood in line at the post office, waiting patiently for my turn, I had an idea. I thought about how generous partners are and how they come together to help others. I thought that perhaps some of my readers would send coffee to Roge Lewis. 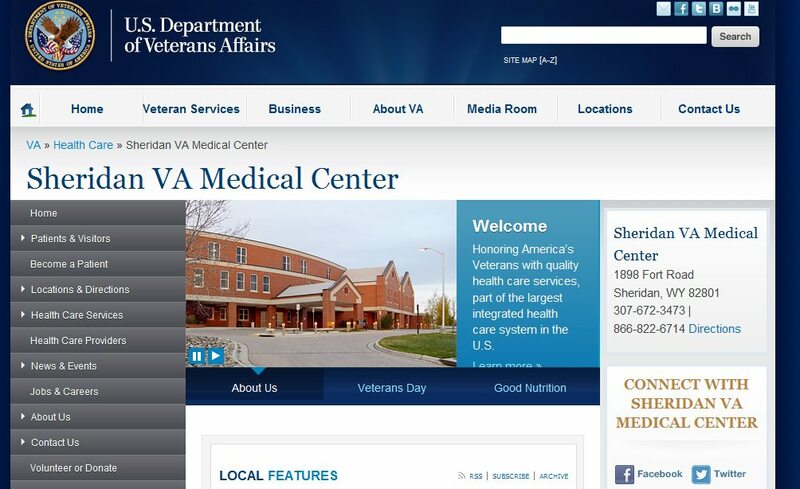 He runs the Domiciliary Residential Treatment Program at the Sheridan VA Hospital, located in Sheridan, Wyoming. The mailing address is 1898 Fort Road, Building 64, Sheridan, Wyoming, 82801. The Domiciliary Residential Treatment Program is a forty bed program serving homeless veterans in Wyoming. Here’s what I imagined – and I know it’s a lot to ask – but if even a few stores had 5 partners that wanted to donate their mark out to these veterans, and then shipped it out to Roge, he could end up with another box of coffee! I recognize that asking any partner to give up their mark out is hard to do. I don’t think he’s going to be overwhelmed with coffee. I doubt this website has the kind of reach to overwhelm him with coffee. If he ends up with a lot of coffee, I have no doubt he’ll share with other areas of the VA hospitals. 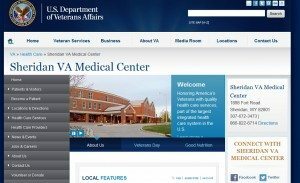 In case you don’t know, VA hospitals serve veterans who served at least a full service commitment (or at least a minimum of 24 months) who qualify to use the VA. Many service veterans qualify to use VA hospitals, and count on the VA for healthcare and residential treatment programs. There’s more: please don’t stop reading. It would be really rewarding and heartwarming to be able to put together a response article in about 3 or 4 weeks. 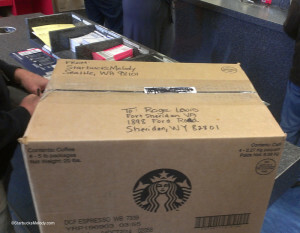 In other words, if you’re a partner, and you if even throw one pound of coffee in the mail to help Roge Lewis and his treatment program for veterans, please email pictures. I could put together an article of response photos, and it would be just great to see how we’ve come together for a good cause. Email me at Melody at StarbucksMelody dot com or use the contact form on this website. The Starbucks billboard tote bag. I would be honored to send coffee!!!! 🙂 thank you for putting this together, melody. Will be sending a few pounds I’ve got in my pantry 🙂 glad to help! @Sophie – Thank you!! Please send me pics too! I am a manager of a Starbucks and am going to be posting a message for my partners about this. I’ll be sending a care package out to Roge on April 7th! Thank you for starting this! Definitely, count me in! And I’ll be asking the partners at my store if they would be willing to donate their markout as well! Count us in! Farmington, New Mexico calling for duty! @Mary – Thank you! Send pics my way! @Janis – That would be awesome. I would imagine that they’d LOVE pre-ground coffee. I always forget about pre-ground. Lots of people don’t like to grind coffee just before they use it. And thank you for helping out!